Born in the Midwest, Rebecca has lived on the East and West coasts, as well as in Canada, Australia, Jamaica and the island of St. Croix before returning to the U.S. where she took an administrative job at Boston University. She stayed there until her three children completed school in Cambridge and all graduated from B.U. In the meantime she earned a master’s degree and completed the coursework for her doctoral degree. She taught writing at several colleges in the Boston area until moving to Cape Cod with her husband, William. They now live in California where she is an avid tennis player and she continues writing in between doing tutoring, editing and proofreading. In her writing, Rebecca draws on personal adventures, talents, and research. While living in St. Croix she wrote a column for the local newspaper called Homemakers’ Horizons. Her first book was a how-to guide for massaging children titled Loving Touch for Your Child written in response to popular demand from clients when she was an acupressure therapist. When teaching writing she collaborated with another professor on a book called Teaching Without Textbooks (unpublished). 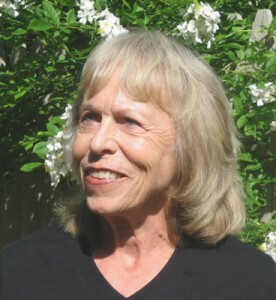 She contributed two bonus sections to The Revision Process by Robin Stratton, published by Big Table Publishing. After taking classes in screenplay writing at UCLA, she wrote The Bee Preacher which is set largely in early 20th century Jamaica and California. 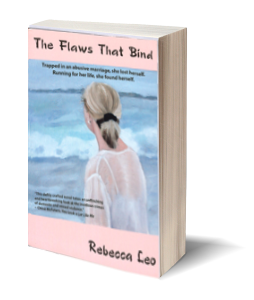 The novel, The Flaws That Bind, drawn from experiences encountered with the abusive father of her children, portrays how one woman manages not to become another statistic in the police records of domestic homicide.